IT’S LAKE CITY’S BIGGEST NIGHT, when the best of Torchlight comes to your neighborhood. We are freshening the parade this year, bringing in more stars, communities, and fun. THE GRAND PARADE WILL NO LONGER CONTINUE BETWEEN 125TH AND 123RD. THE PARADE HEADS WEST ON 125TH, SO ENJOY THE TREE SHADE. GRANDSTAND WILL BE ON NE 125TH AT 28TH AVE NE! 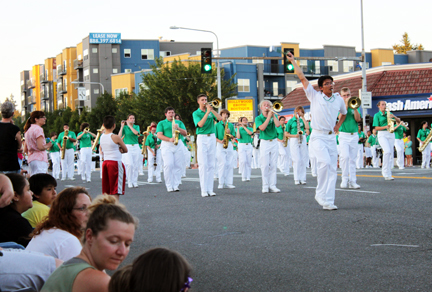 THE KID’S PARADE WILL STAGE AT LAKE CITY MINI PARK AND HEAD WEST DOWN NE 125TH.